In the 1980s, Stamford Hospital erected a barbed wire fence – complete with a guard tower – between itself and the distressed public housing high-rises next door. "That fence divided the hospital from the west Stamford, Connecticut, neighborhood," recalls Vincent Tufo, chief executive officer of the housing authority. Three decades later, the guard tower and fence are gone. Residents of the high-rises now live in attractive townhomes and the old tensions and divisions are no more. In the early 2000s, the hospital and housing authority, which re-branded itself as Charter Oak Communities, began "to pivot towards the 21st Century," says Tufo. Charter Oak forged a relationship with Stamford Hospital that has gradually transformed the neighborhood. Now both are partners in an ambitious effort to create a "health and wellness district" that addresses nutrition, education, housing, safety, fitness, economic stability and even a sense of community – all factors research has found to impact human health. The scope of Stamford's efforts has made it a national model in the era of the 2010 Affordable Care Act, which requires non-profit hospitals to play a role in preventing disease, "something hospitals really haven't done before," notes Pam Koprowski, Stamford Hospital's director of public affairs. "We have to work with community developers and other partners. We can't do it alone." Stamford, Connecticut is a prosperous city of 120,000 at the edge of the Long Island Sound and only 50 minutes by commuter train to Manhattan's Grand Central Station. The wealthier parts of town resemble neighboring Greenwich. But on the west side of town near Stamford Hospital, unemployment is high. About half of residents are Hispanic immigrants, many undocumented. Another third are African American and the remaining few are long-time white residents, mainly of Italian descent, or recent immigrants from the West Indies. Once a stable working-class community, the area fell into decline in the 1970s when federal policy targeted public housing to low and extremely-low-income people. A 1980s crack epidemic and other factors sent crime rates soaring. "The hospital became very concerned about its own reputation, about its ability to attract people from surrounding areas of Stamford and Greenwich," Tufo recalls. By the early 2000s, the hospital had also outgrown its current quarters and was badly in need of a larger, modern facility. Under new leadership, the hospital executives began to contemplate a major expansion and for the first time reached out to community leaders, including Tufo, for input on their plans. Tufo, who had recently taken the helm at Charter Oak Communities, had plans of his own – building mixed income townhome developments to replace the obsolete high rises, including those that bordered the hospital. "So it became a consolidated planning effort," he says. As their plans unfolded, the two institutions found themselves in a bind. Charter Oak needed more land for its mixed-income townhomes to retain the same number of public housing units. The hospital had no room to expand its main campus, although it owned parcels elsewhere in west Stamford. In 2009, Tufo proposed a land swap: The hospital would get adjacent land; a portion of the site formerly occupied by the high-rises. Charter Oak would acquire the scattered parcels owned by the hospitals. In the conference room, "There was almost an 'aha' moment: Could it work? Why didn't we think of it sooner?'" says Tufo. "Once we decided to do it, it was amazing how quickly it came together. We saw the power of the hospital and Charter Oak working together as something special. So we set out a goal to keep improving the neighborhood." With the Affordable Care Act coming into play, they decided to focus on health and named their initiative "Vita”, which is Latin for "life." 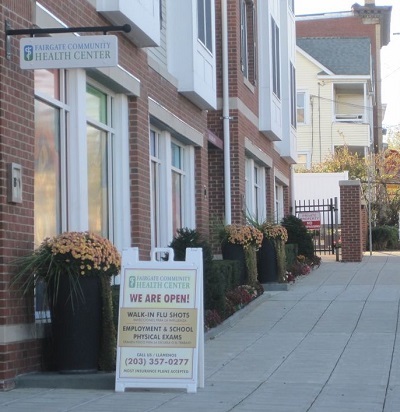 Charter Oak had just completed new townhomes near the hospital with retail space – a perfect spot, partners thought, for a walk-in clinic to serve those on Medicaid and the uninsured who often used the ER for primary care because they lacked other options nearby. Charter Oak offered below market rent to attract a Federally Qualified Health Center. "That was huge," says Koprowski. "We had a ribbon cutting for that." Then a pharmacist who grew up in Stamford decided to open up an independent pharmacy near the clinic. For a neighborhood without a drugstore, "that was another incredible asset," she says. In the meantime, Koprowski and Tufo were searching for more ideas. 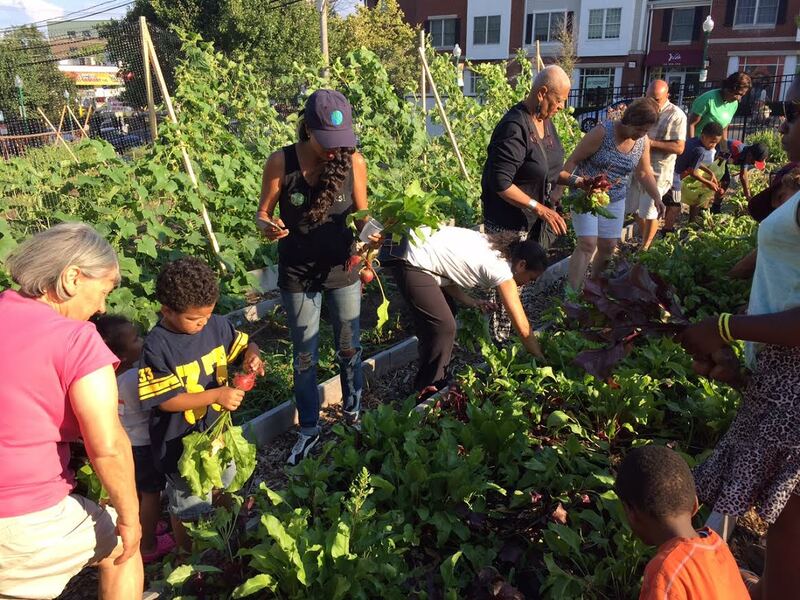 On a trip to a similar project in Portland, they came across a community garden with individual plots. That gave them an even better idea. 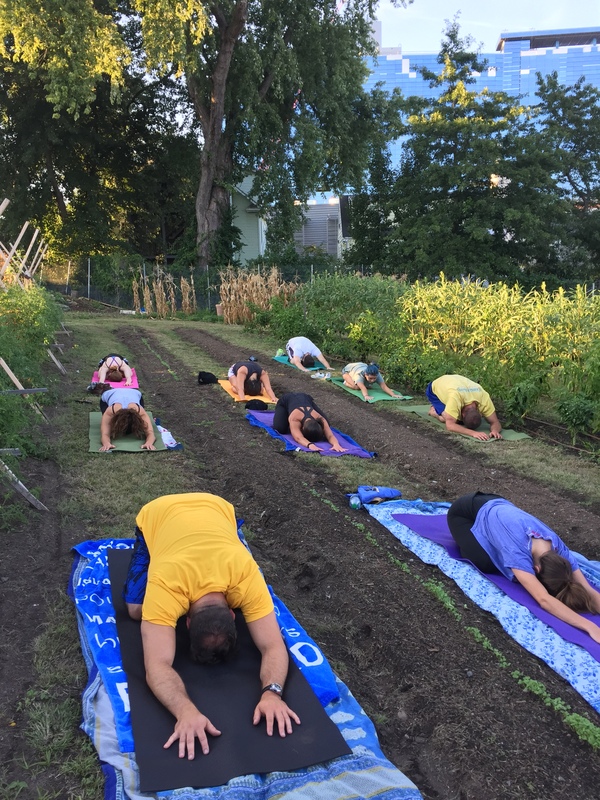 Across the street from the hospital, Charter Oak purchased five derelict properties – including a house noted for illicit drug activity – that stood on nearly an acre of land, cleared it and covered it with organic soil. Unlike the Portland garden, the Vita farm would be one field where "everybody becomes involved in a common pursuit," says Tufo, "working alongside their neighbors and strangers, eating and celebrating together." A farm manager hired by Charter Oak led neighbors in planting strawberries, blueberries, fruit trees – apples, plums, pears – and 100 varieties of vegetables. Grape vines came from cuttings in the old Italian neighborhood. Immigrants from East Asia, the Middle East and Central America were encouraged to bring seeds from their home countries. "We made the most amazing salsa last year," Tufo reports. "We had a pickling session and pickled things I didn't know could be pickled." 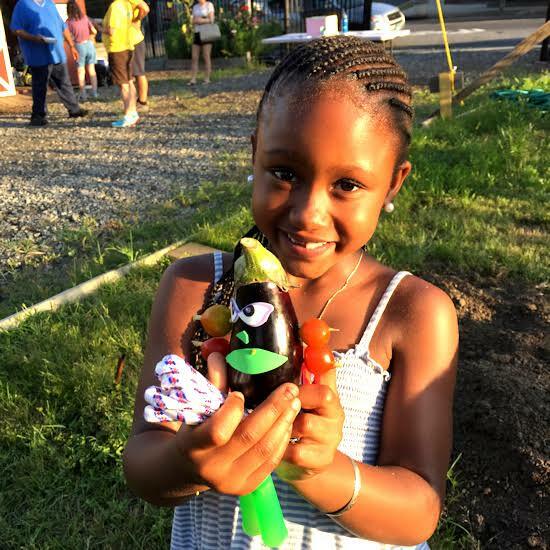 "I loved how happy they were if you just handed them a tomato to take home," she says, "and little kids who had never seen a carrot come out of the ground." Volunteers carry the organic produce home with enough left over to share with neighborhood soup kitchens and other hunger-relief programs. The farm is also a teaching tool for the local schools. Preschoolers learn about soil, composting, plants, what bees and worms do, and about healthy eating. Elementary school children cultivated strawberries for a neighborhood strawberry festival in June. The farm was intended as a temporary use of vacant land, but instead became Vita's centerpiece and "something the community felt was tremendously valuable," says Koprowski. "It's a safe place where everyone can connect. 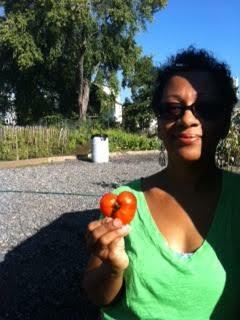 The community has really taken ownership of the garden." Charter Oak's new housing mix, which includes market-rate apartments, provides funding for the farm, and also for a Vita program manager, a communications consultant and a grant writer. The hospital also provides funding for Vita as part of its IRS community benefit requirement. The new housing is transforming the neighborhood in other ways. Crime has plummeted as Charter Oak replaced the high rises with colonial style mixed -income townhomes that would blend easily into the wealthier areas of Stamford. The city contributed to the transformation in the Vita Health & Wellness District with wider sidewalks, planters with flowers, redesigned intersections to encourage walking and lighting around the perimeters of parks. Living in a safe and beautiful neighborhood decreases isolation and the kind of toxic stress that can lead to devastating chronic illness, the partners say. Koprowski points to a study in Philadelphia that measured differences in blood pressure when people walked down "a street that was garbage-strewn and scary versus one that was green and well cared-for. People feeling they can walk down the street and talk to their neighbors is important to mental and physical health." In 2011, Charter Oak and the hospital won a federal grant for a community planning process for the Vita district that lasted into 2012 and drew over 100 enthusiastic residents, business owners and faith leaders. The plan lays out strategies for improving health care access, fitness, nutrition, education, workforce readiness, and job growth in the district by the time Stamford Hospital opens its new facility this September. To carry out the goals and generate new ones, the partners organized a Community Collaborative that meets monthly and includes the social service agencies, schools, economic development groups and the city public health department. 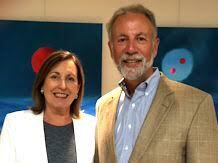 "As we learn what works and doesn't work on the West Side," Koprowski says, "we'll take the best programs and make them available to other Stamford communities." Projects so far have included a mobile health van for the uninsured, technical assistance to small business owners, and a "Parents as Co-Educators" program that teaches immigrants with young children how to prepare them for school success. In the not-distant future, the partners foresee an affordable community fitness center near the hospital, a demonstration kitchen for the community garden and off-street parking to help local businesses grow. To promote fitness, the city is building a network of walking trails. On Vita's western edge, one of those trails will wind through a greenway, past the townhomes with their lush green lawns, past a new tennis court and the urban farm. The path will lead northward to a gleaming glass building with colorful banners that welcome residents of west Stamford to their new hospital. Comments on "From Guard Towers To Gardens"